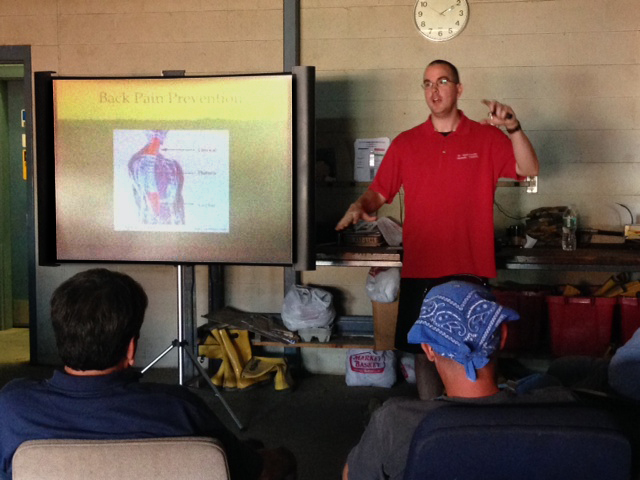 On July 24th 2015 MIIA representative Paul Connolly presented a hour long seminar/session for the Reading DPW Employees at the Reading DPW Garage. With over 30 Reading DPW attendees present; there was roughly a 90% DPW Employee attendance at the session. The Training Seminar, ‘Tips for a Healthy Summer’ was split up into three 15-20 minute mini-sessions that were all focused on smart and safe working practices for the Summer. Paul discussed Healthy Hydration and aspects of how one can sense or notice the onset of the body’s need of hydration. He then moved into skin protection and how and why different sunscreens play a role in protecting the skin while out working in the sun. Lastly Paul concluded with discussing back injuries and then involving all the attending employees in some stretches and safe lifting and working practices. MIIA also provided some handouts afterwards to all DPW attendees; each received a backpack, stainless steel thermos, trail mix container and a bottle of sunscreen. 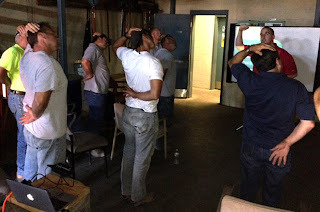 The Reading DPW wishes to thank MIIA for sponsoring and putting on such a beneficial training session.